What Is Special Today, Is Significant Tomorrow. Celebration of our students is an important part of student growth and building up each of their strengths. Awards and Honors are given to those who have worked hard as an encouragement to keep learning and developing. It is important to challenge each of our students to strive to do their best in everything while giving them a sound work ethic. 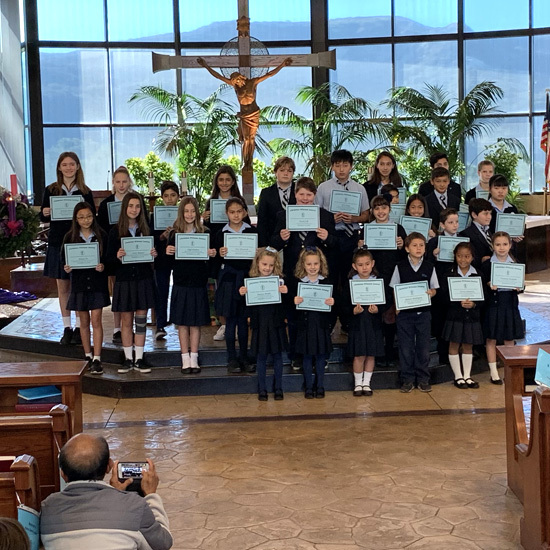 The Christian Witness Award is a monthly award based upon the Christian behaviors displayed inside and outside of the classroom by the children. The children are recognized based upon their positive attitude to do their best and willingness to display God’s love.